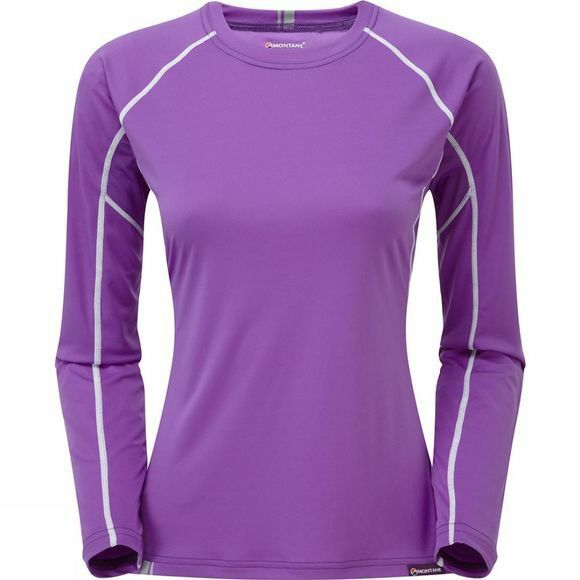 Updated with light weight, wicking and fast drying Apex-Dry fabric in the main body, Apex-Dry Mesh under the arms and with improved fit and styling, the Women's Sonic Long Sleeve T-Shirt is a classic synthetic baselayer for any fast mountain activity. Apex-Dry is a lightweight, anti-static high performance baselayer fabric which wicks away moisture, dries fast and protects the skin from the sun with a UPF of 50+. Apex-Dry Mesh delivers greater air permeability in high sweat areas under the arms and in side panels. A Polygiene treatment provides permanent odour control.